We are less than 10 days away from Christmas now. Can you feel the blood pressure starting to rise? How are ya doing? Presents bought? Gifts wrapped? Cards mailed? Am I giving you anxiety? Ok, I’ll stop. How about you just sit back and relax and take a tour of my Christmas villages in the dining room instead of marking all that stuff off your to-do list? Ok, sounds good. 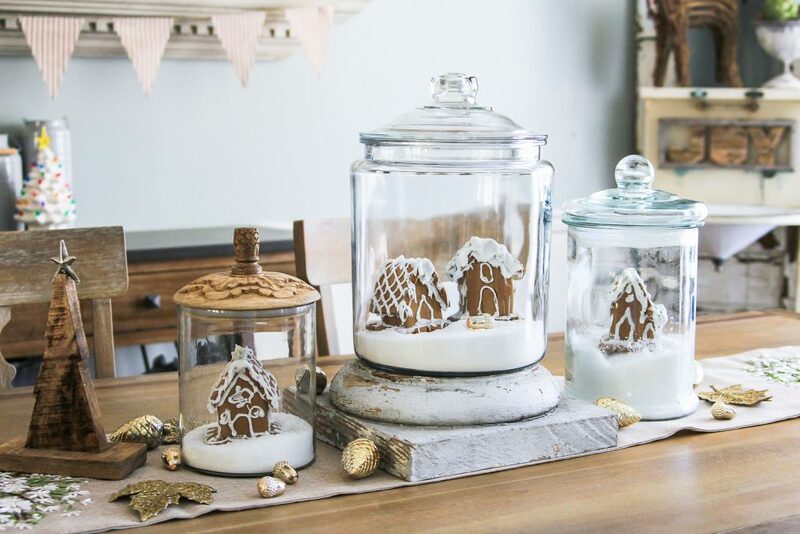 My friend Kristin over at Ella Claire Inspired recently posted a great tutorial on how to create these little gingerbread Christmas villages in glass jars for your table centerpiece. 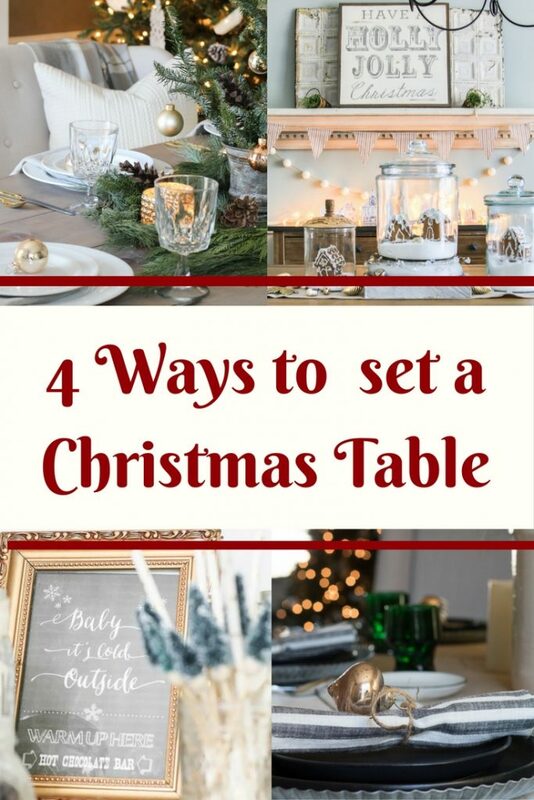 I have ALWAYS wanted to make one of these ever since I ripped this idea out of a Better Homes and Gardens magazine in the days before Pinterest. 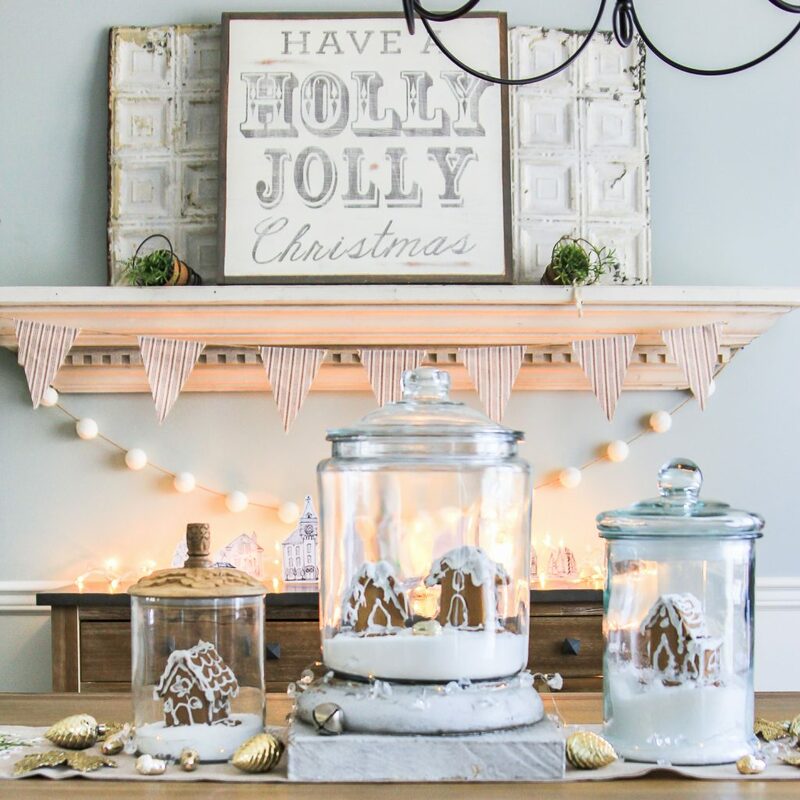 This was a fun and easy little project that you can even get the kids to help you out with (as long as you’re not a stickler for perfectly iced gingerbread houses)… I am not, obviously. But that’s the fun part- decorating the gingerbread houses. We actually have an annual tradition of decorating gingerbread houses with my kids and my niece every year, so today is the day we will do that. I got a jump start with these little mini-gingerbread houses, though. 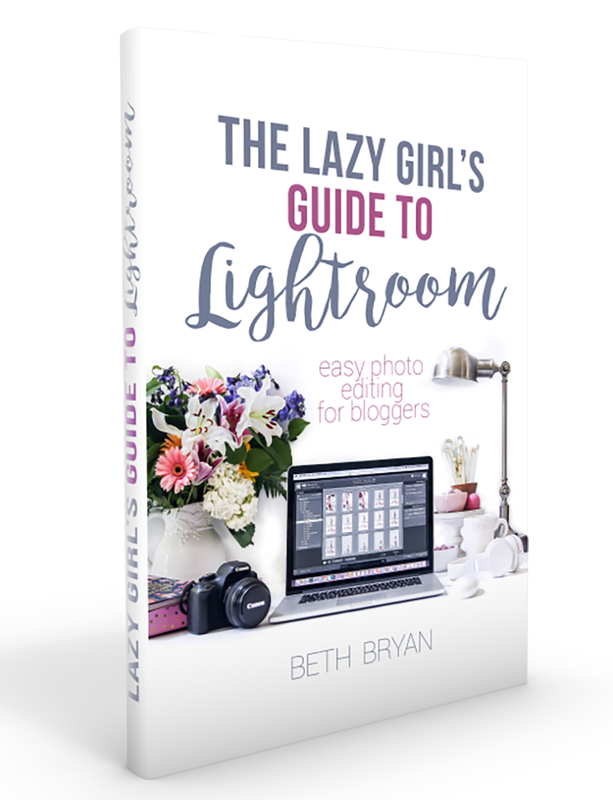 It’s super simple to create and it looks SO cute! 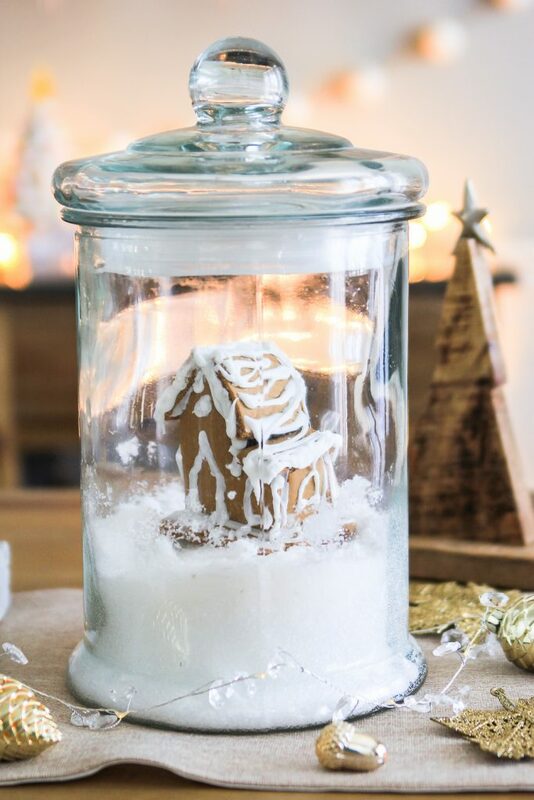 Basically just dump some epsom salt in the bottom of any lidded glass container and stick a gingerbread house inside. You could get fancy and add some trees or figurines, but I think they look awesome just like this. 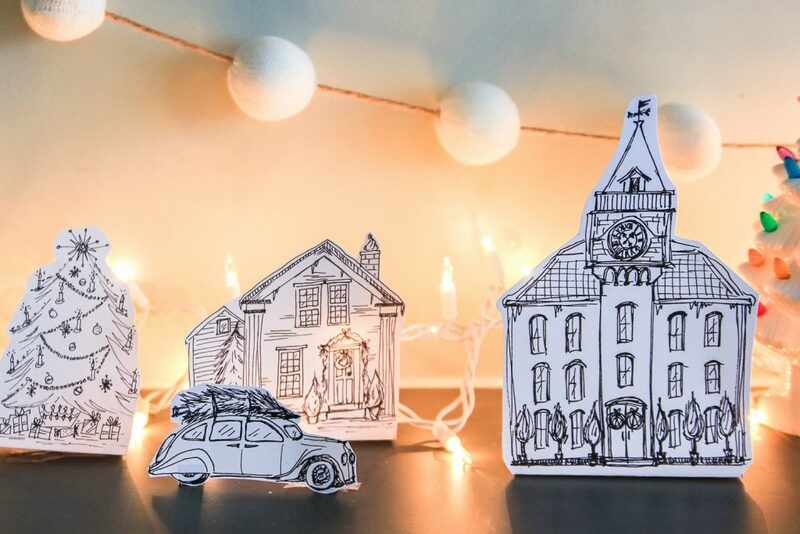 Another talented blog friend of mine, Thoughts from Alice, hand-sketched this Printable Christmas Village a few years ago. From the moment I saw it I knew I would use it in my decor one day, and this is the year I finally made it happen. 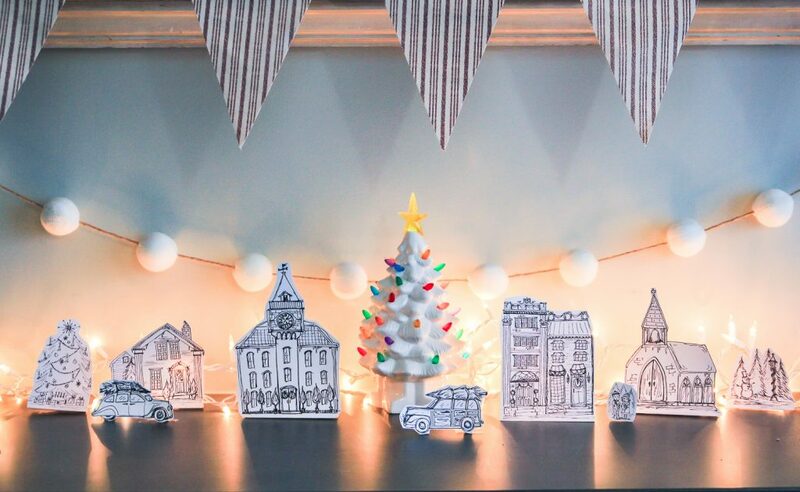 I completely adore the way this little paper town looks on my side board, and it was super simple to create. They are exactly like paper-dolls we used to play with in the olden days, except I taped them onto the table to help them stay upright. I tossed a string of white Christmas lights behind them and called it a done deal. My “vintage” multi-colored ceramic Christmas tree came from Vermont Country Store catalog. It looks perfect here in the center of town. Who wants to come over and hang out with me this season? We can eat, drink, and be completely oblivious to our anxiety-inducing to-do lists together! Merry Christmas, friends!! 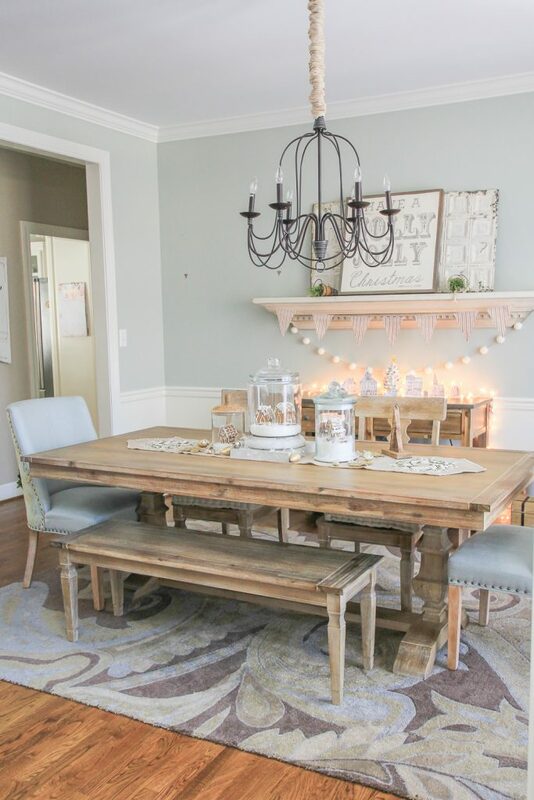 If you want to see more corners of my dining room, head over and take my 2017 Christmas Home tour! Beautiful! 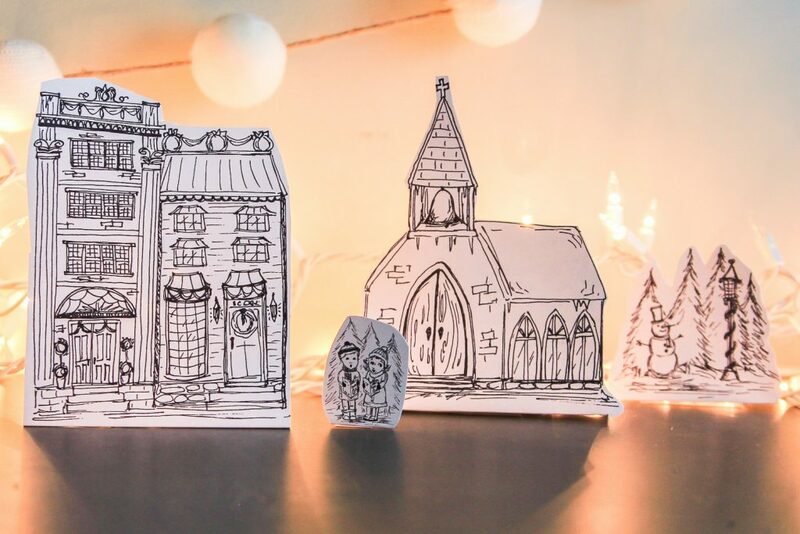 I sent the link to the hand drawn village to my daughter a while back in hopes that she would make me one from her hand. We’ll see! Everything posted so beautiful n well done. Kind thought refreshments delivery persons is Amazing! Have it pinned it to do next yr unfortunately I’m having hip replace few days or I’d do it now? 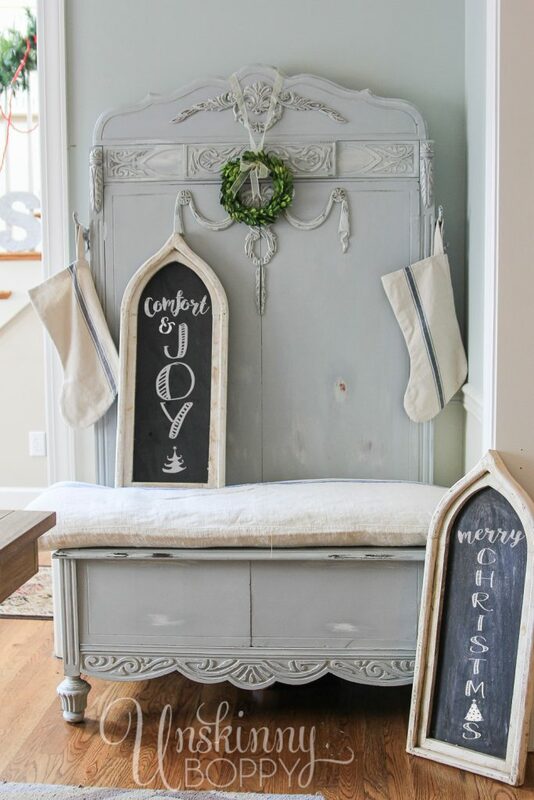 I love this site always posts classy well done homes n’ ideas! 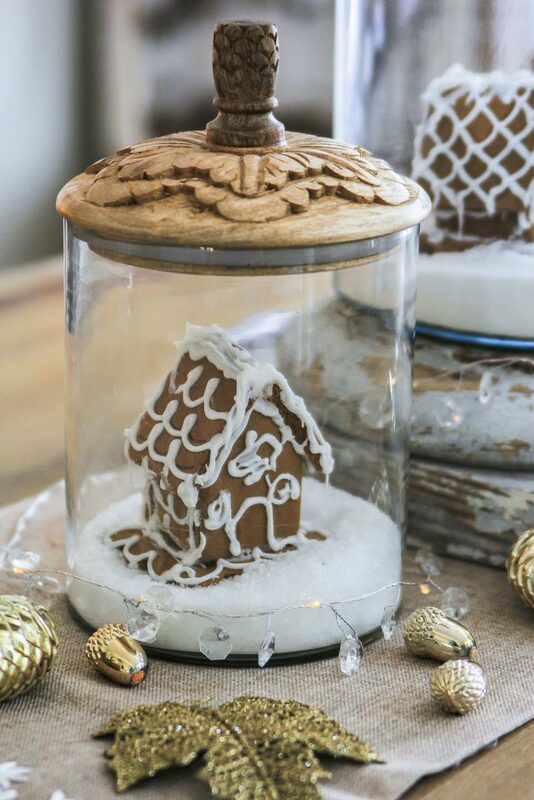 I love your little gingerbread houses under glass. What a cute idea. This is so so adorable, Beth! 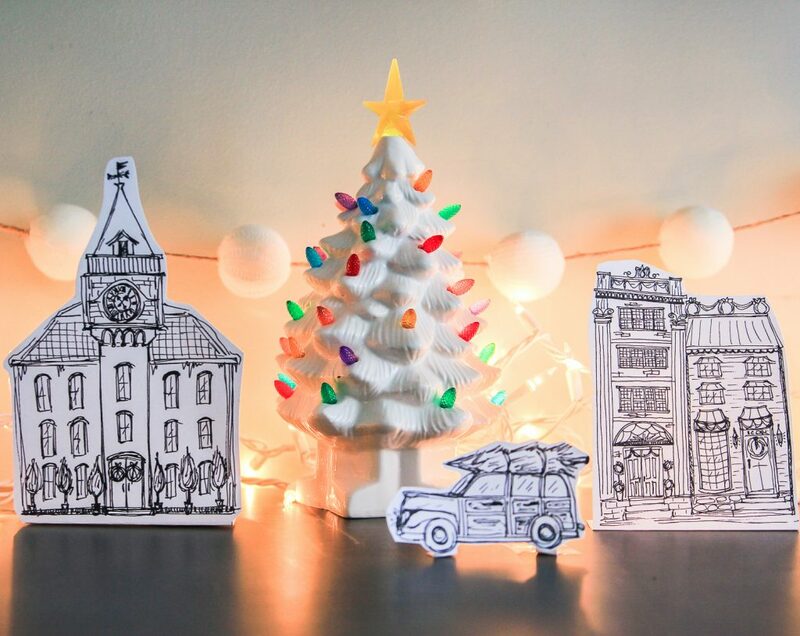 Seriously, what’s better than little gingerbread houses? 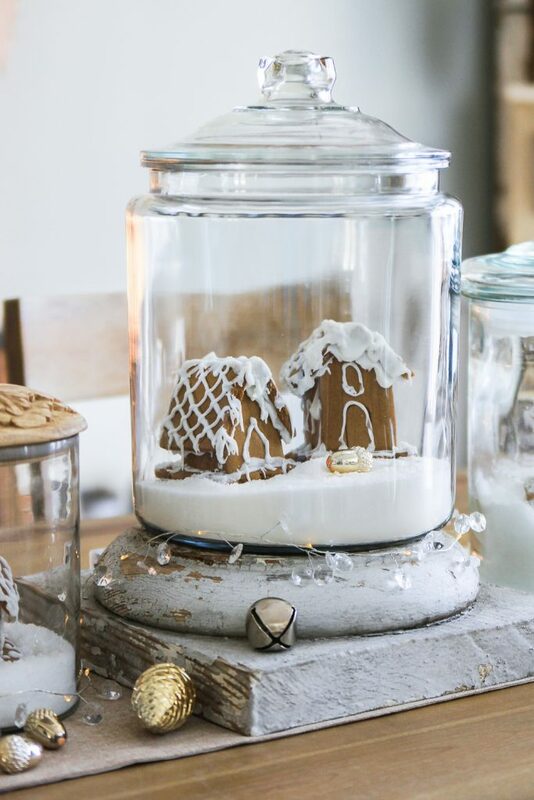 I really should stick my gingerbread houses in jars, love this! 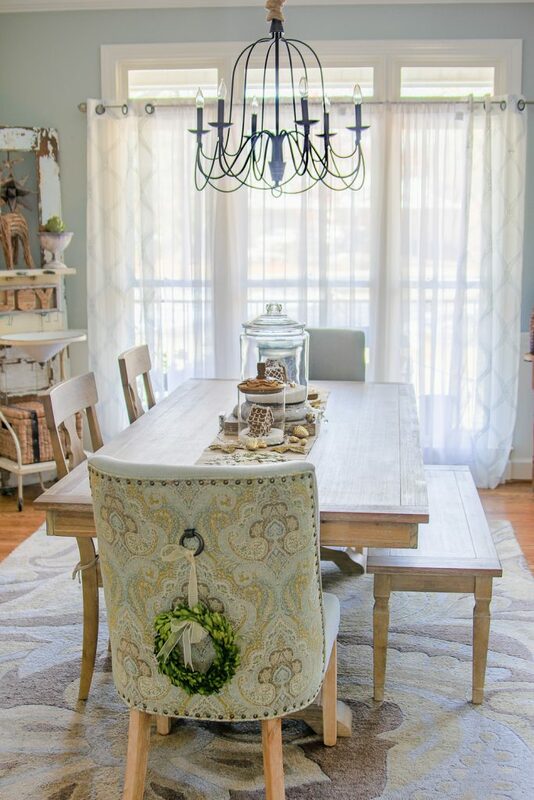 I I love your dining room and all the individual touches. If I lived near, I’d love to stop by. ?? Beth, this is so cute! 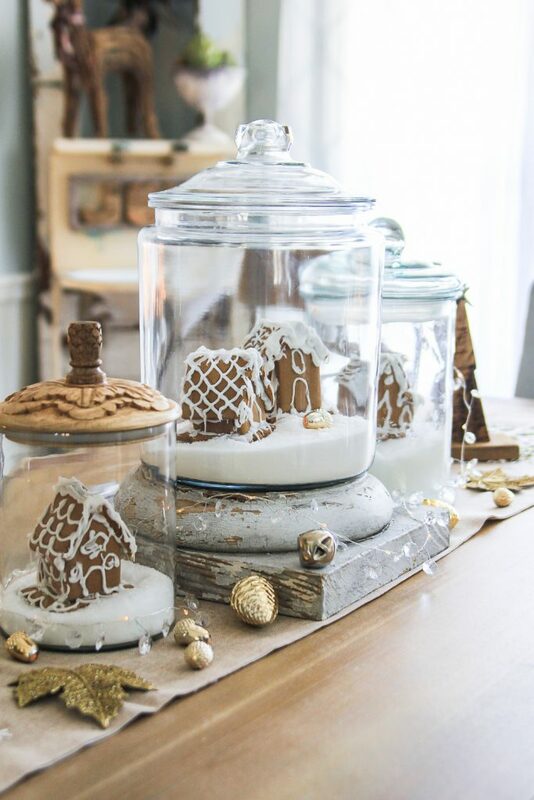 I love the gingerbread houses in the jars. I have had a gingerbread kid since November and somehow have not found the time to decorate them. You inspired me to decorate them tonight!